Production of the Alfa Romeo Stelvio SUV has been cut. TURIN -- Fiat Chrysler Automobiles has cut production at Italian factories building Alfa Romeo and Maserati cars after new Chinese import rules hit sales, according to union sources. Sales of Alfa Romeo and Maserati vehicles have fallen significantly in China since authorities introduced new rules on relationships between dealers and carmakers, FCA told unions. Among other changes, the new regulations ban automakers from imposing stock on dealerships. • The production line for the new Maserati Levante SUV at FCA's plant in Mirafiori, Turin will shut for two weeks between October and November. • Production of the Alfa Romeo Stelvio SUV and Giulia sedan in Cassino, central Italy, has been reduced to 265 cars per shift from 300 this month. This follows production stops on four Fridays since mid-September with a loss of more than 2,000 units. FCA declined to comment on the cuts. Chinese shipments of the Giulia and the Stelvio - which started this spring - have fallen significantly after a brisk start, data from market researchers JATO Dynamics show. Alfa delivered to 1,006 Stelvios to Chinese dealers in June, 2,666 in July and only 227 in August. Maserati followed the same pattern, shipping an average 350 Levantes in July and August, down from a monthly average of more than 800 in the first half. 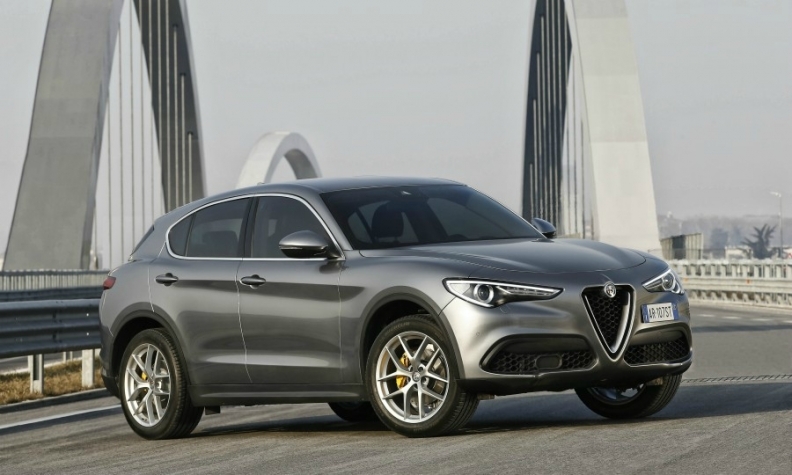 FCA's sales targets for the Levante, Giulia, and Stelvio may have been too high, according to Felipe Munoz, Global automotive analyst at JATO Dynamics market researchers. Alfa Romeo will sell between 130,000 and 140,000 units in 2017 based on sales to date, he said. These may not meet the target but it is still "an excellent result," Munoz said. FCA CEO Sergio Marchionne said earlier this year that Alfa Romeo will sell 170,000 vehicles this year including the Giulietta sedan, Mito small hatchback and 4C coupe and roadster. Workers at the plant have been temporarily laid off for 21 days this year, including 11 days in the third quarter. As a result, production of the two models was down 25 percent in the quarter. Fiat 500X sales in Europe were down 15 percent to 62,999 through August, according to JATO Dynamics. Jeep Renegade's volume declined 1 percent to 52203, JATO data showed but increased by 0.5 percent to 70,859 in the U.S., according to the Automotive News Data Center. FCA exports 55 percent of Melfi's Renegade production to the U.S. Fiat 500X’s U.S. sales fell 38 percent to 5,237. U.S. sales represent 10 percent of the model’s total volume. Overall production at FCA's plants in Italy increased by 3 percent in the third quarter. According to FIM. Output was up 60 percent at Cassino, boosted by the launch of Stelvio and full production of the Giulia, which was in a ramp-up phase in 2016.